Agave Nectar: A natural fructose sweetener that is sweeter then cane sugar, yet has a low glycemic index (does not quickly raise blood sugar levels). The all natural liquid sweetener is an excellent sugar alternative and can be used in place of sugar, honey or maple syrup in all your products where a sweetener is used. Our premium 100% Blue Agave Nectar is a satisfying and pleasant sweetness, which compliments your beverage or food choice. A versatile sweetener that pours easily and dissolves quickly (in hot or cold drinks). Does not crystallize or harden - lighter viscosity than honey. Sweeter than cane sugar and less is needed to sweeten your drink or food choice. Ideal natural sweetener for anyone watching their calorie intake and reducing their intake of cane sugar or high fructose corn syrup. As a moisture retainer (humectant properties), it will keep baked goods fresher longer. 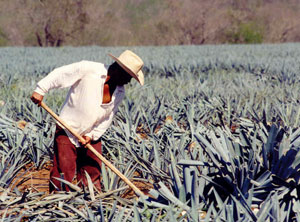 Agave nectar is shelf stable with a shelf life of a minimum 4 years. Agave nectar is a flavor enhancer - when using our agave it will not alter the natural flavor of the food or drink; it will sweeten while enhancing the natural flavors of your foods and drinks. Replace 1 cup of sugar with 2/3 cup 21 Missions Agave Syrup. Reduce oven temperature by 25 degrees Fahrenheit.